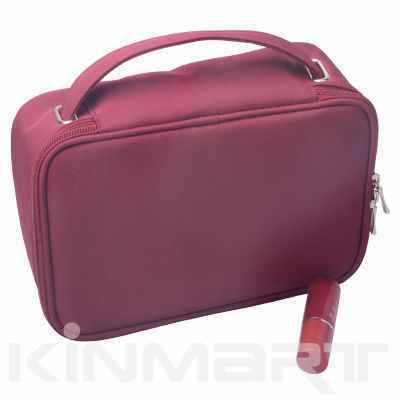 Description : Want to bulk personalize vanity toiletry case by imprint or embroidery your corporate logo, brands? It's always easy at Kinmart manufacturing factory in CHINA. Click Personalize A LOGO to create, upload your logo; or click Custom Bag More to personalize its Main Fabrics; Lining, Zipper, Pull etc.